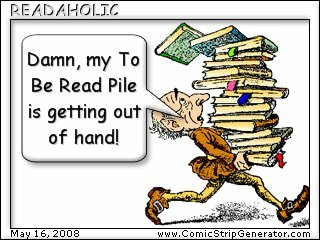 This entry was posted in generators and tagged comic, generators by Lilli Day aka bookbabie. Bookmark the permalink. i felt a bit of a funk last night and so i popped some popcorn; taking the cover off half way through –so the stuff goes flying all over the kitchen; it was a nice (dumb) therapy to make me laugh! 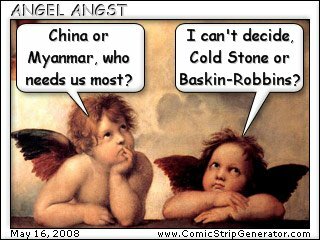 I know even the angels have trouble understanding the morons in the Myanmar government.